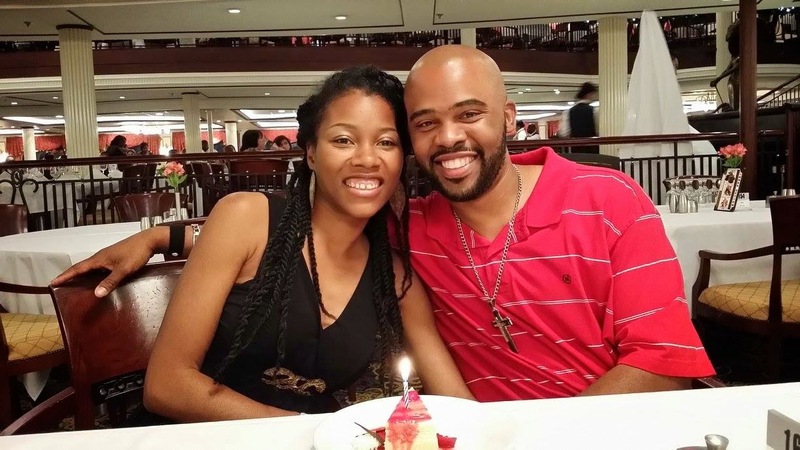 Adrain and Melissa Warrior were two college students who fell in love. They have known each other since 1999. They jumped the broom on November 30, 2002. Keeping God first has kept them together! What qualities did you see in this person that made you want to marry him/her? Melissa- He is funny, reserved, nice, loving, and trusting. Adrain-She is outgoing, loving, caring, knew God, trustworthy and I enjoyed her company. Adrain- Listen and pay attention! Keep the focus on putting your wife at the top of your list. Always and think of new ways to show her how special she is. What are some things you enjoy doing as couple? What is your favorite part of marriage? Melissa- Being with my partner for the rest of my life. Adrain-Learning and growing together to become one. What is the most important aspect in a marriage to make it successful? Adrain- Keep God number1 and make your spouse number 1b. How have you dealt with stressful times that arise? Melissa-seeking God and trying to correct the wrongs. What advice can you offer newlyweds? Melissa-listen with an open heart, forgive and apologize. Don't go to bed mad. Adrain- Put your feelings aside and have compassion for your spouse and their feelings. Adrain, what do you ♥ about Melissa? She is loving, caring and never gives up. Melissa, what do you ♥ about Adrain? He is loving, caring, and a hard worker. What advice would you give newlyweds? Get to know each other, seek marriage counseling, find a good church home, be best friends, and do it God's way. What song best describes your marriage?